Stephanie & Andrew are one of those couples that is up for anything! They were willing to try any fun/random idea I had...& even brought a few of their own along with them (you'll see what I'm talking about when you reach the last portion of their session). Their eyes light up when they look at each other & they know how to have fun together - which made it so fun & easy to capture so many great images of them. 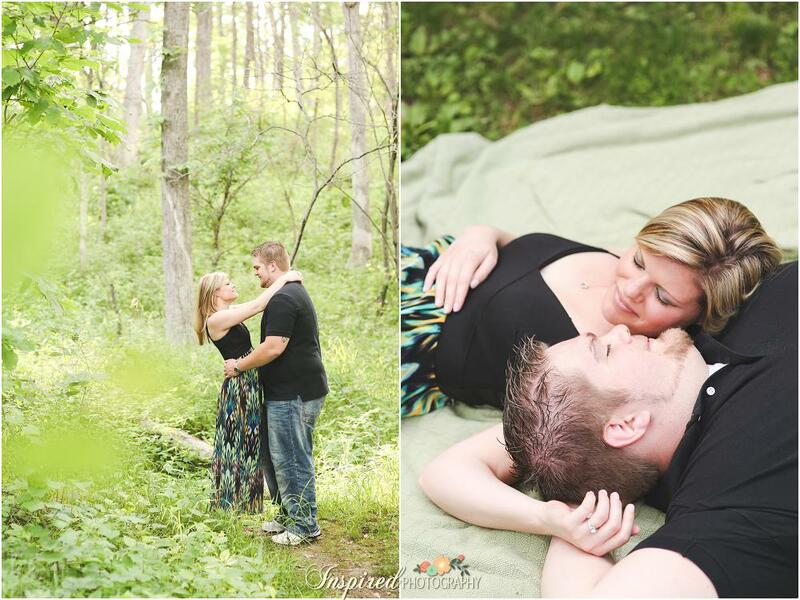 I hope you enjoy this little taste of their woodsy engagement session! Yes...those are waders. Yes...they went fishing in the creek. & Yes...it was so fun! You two are seriously so awesome! I can't wait for your August wedding - it's sure to be a blast!